Transpire has relocated from its Malvern headquarters to 99 King Street in the heart of Melbourne’s CBD. 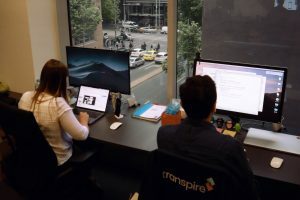 Owing to the fact Transpire is one of the fastest growing digital companies in Australia, as recognised by the Deloitte Technology Fast 50 2017 and the AFR Fast 100 2017, the move was necessary to accommodate an ever-expanding team. 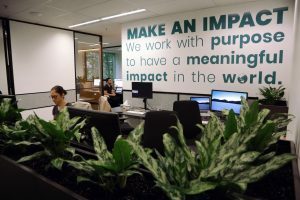 However, for CEO Luke Smorgon, a new HQ represented the opportunity to be closer to Transpire’s partners and customers for stronger relationships and better business outcomes. 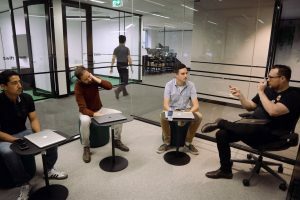 “Moving to Melbourne’s CBD has been on the cards for a while now, but our growth over the past couple of years alongside a commitment to provide our customers with unrivalled digital products meant we couldn’t wait any longer,” he said. 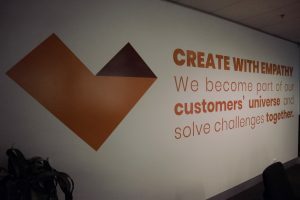 In order to fulfil its mission of solving business problems, laying the foundation for innovation, creating competitive advantage, delighting users, and improving people’s lives through technology, Transpire’s team of adept designers and developers are spending an increasing amount of time onsite at customer locations – another advantage of moving to Melbourne’s CBD. “We don’t see ourselves as just another technology vendor; we want to be an integral part of our customers’ teams,” Luke added. 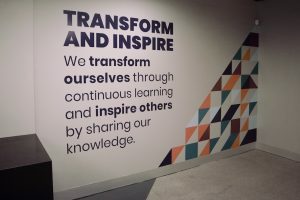 “By bringing our experience, knowledge, and insights to customer workplaces, we can have a direct and meaningful impact on their operations and objectives.